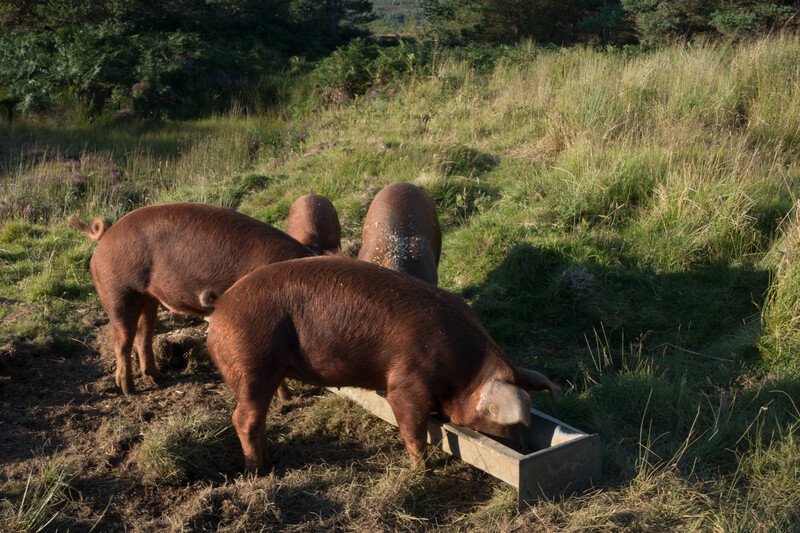 Each group of pigs we have had at Croick have been somewhat different characters. This year’s are by the far the most aggressive and belligerent. If you are late with the feed they come down the road to find you. If you are slow in unloading it, they will try and tear it out of your hand. In fact, when they are hungry, they lack respect! Still with the exception of one of them they are growing fast and will be ready for the butchers before long. As we have hardly finished this year’s sausage mountain, we shall have to think of new and innovative uses of pork! It’s a nice problem to have.